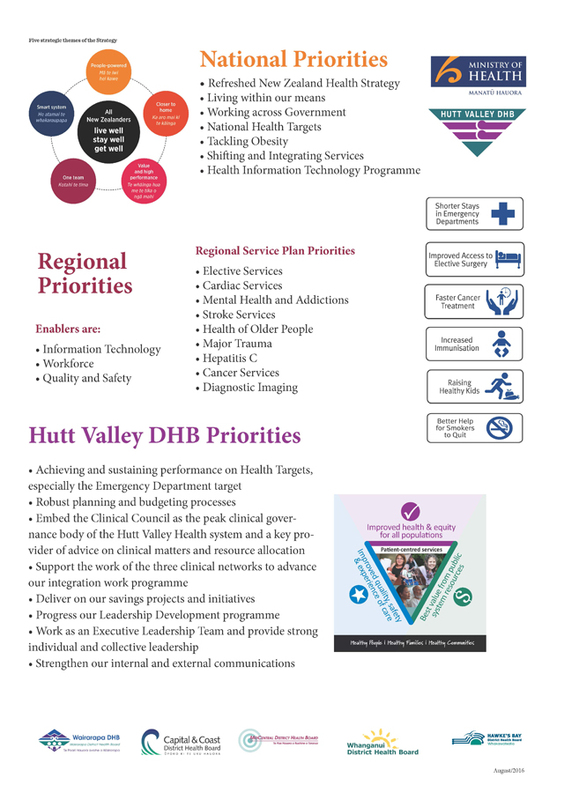 Hutt Valley District Health Board (HVDHB) works with other health care providers to plan, fund, and provide a range of healthcare services for people in the Hutt Valley. HVDHB is one of 20 DHBs in New Zealand responsible for providing or funding the provision of health services in their district. DHBs must work to improve, promote and protect the health of the people living in the areas they cover and take the lead in planning, funding and providing public health services for them, regardless of where their services are provided. You can find more of an explanation of the function of DHBs at the Ministry of Health Website.